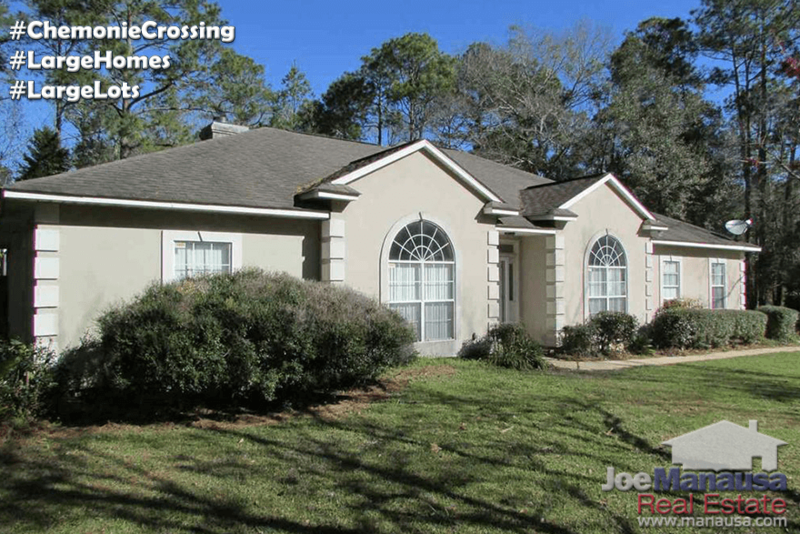 Large homes on large lots, that is what you'll find in Chemonie Crossing in NE Tallahassee. Located out Centerville Road, just beyond Proctor Road, this non-boilerplate community has much to offer. 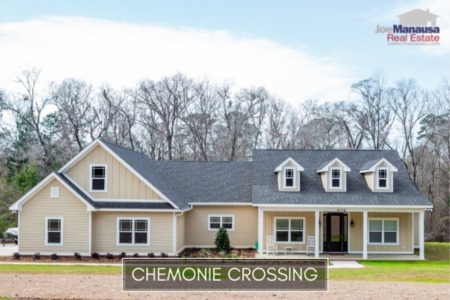 Chemonie Crossing is loaded with large custom built homes on acreage that are ideal for buyers don't mind adding a few extra minutes to their commute each day. Unlike many "boilerplate" neighborhoods where all the lot sizes, home ages, and home sizes are very similar, Chemonie Crossing requires more diligence when it comes time to valuing each home. These are unique and on varying sizes of land, so you should work with an expert buyer's agent should you take a serious interest in living in Chemonie Crossing. It is important to note that the narrative contained below is for sales through December for all previous years, but through the 20th of June in 2017. The graphs and the closed sales table will be continuously updated into the future (meaning bookmark this page if you always want to know the current status of homes in Chemonie Crossing. The average price of a home sold in Chemonie Crossing in 2017 has rebounded to $359K after dipping downwards last year. The activity in Chemonie Crossing has return. With no home sales in during the 1st quarter of 2017, there are now three closed and three more under contract. 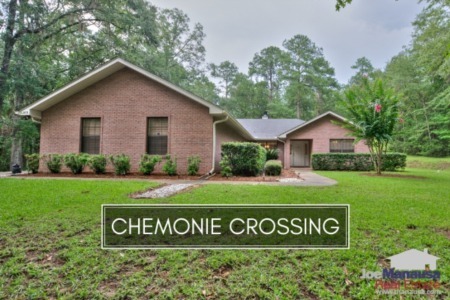 Currently, there are five homes for sale in Chemonie Crossing with only two actually remaining on the market. Average home values have ticked a little higher thus far in 2017, which is far more positive than a homeowner there might understand. The average home size sold this year is larger than that of last year, yet values are moving higher. Typically, larger homes sell for less dollars per square foot than do smaller ones, so this is actually a very positive sign of real estate appreciation. Through mid June of 2017, the average value of a home sold in Chemonie Crossing has been $137 per square foot, which is very close to the record high average recorded in 2009. The average home size sold in Chemonie Crossing typically falls in a range of 2,000 to 3,100 square feet, and 2017 is reporting a figure smack dab in the center of this range (so far). The 3 sales thus far in 2017 have averaged 2,677 square feet. I hope you enjoyed our June 2017 update on home sales in Chemonie Crossing, please feel free to drop me a note if you have questions not covered in this report.